JOEL GRETSCH was most recently seen playing Father Jack Landry on ABC’s,V, and is well known for his work playing Tom Baldwin on the TV series THE 4400. Audiences were first introduced to his talent when Gretsch received rave reviews for his major motion picture debut, his portrayal of Bobby Jones for director Robert Redford in The Legend of Bagger Vance, starring Matt Damon, Will Smith and Charlize Theron. In 2002 Gretsch was featured alongside Tom Cruise in the Steven Spielberg film MINORITY REPORT. He also starred opposite Kevin Kline in THE EMPEROR’S CLUB and in the Steven Spielberg-produced, Emmy-award winning miniseries, TAKEN. Most recently he appeared in National Treasure: Book of Secrets, Saving Grace and Push. Gretsch can also be seen in the series UNITED STATES OF TARA, opposite Toni Collette, as well as the feature SHRINK, alongside Kevin Spacey. 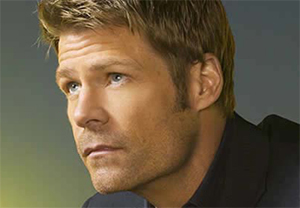 In addition he has appeared in such television shows as CSI: MIAMI, LAW & ORDER, JOURNEYMAN. A Minnesota native, Gretsch studied acting at the renowned Guthrie Theatre for six months prior to moving to Los Angeles. He made his professional debut in the production of Tartuffe, and subsequently starred as the title character in John Patrick Shanley’s West Coast production of DANNY AND THE DEEP BLUE SEA. ANNABETH GISH is a multi-talented actress with a diverse background in film and television. 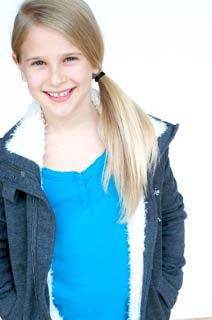 She will soon be seen opposite Sam Worthington and Chloe Moretz in the Ami Canaan Mann feature, THE TEXAS KILLING FIELDS. Gish is currently playing Dr. Sullivan on the hit series PRETTY LITTLE LIARS and co-starring with Pierce Brosnan in the Stephen King mini-series, BAG OF BONES. Gish first gained the attention of critics and moviegoers at the age of 13 in the feature film, DESERT BLOOM. She went on to star in the acclaimed feature, MYSTIC PIZZA, with Julia Roberts. Her expansive list of film credits include DOUBLE JEOPARDY, Sundance Film Festival favorite, SLC PUNK, WYATT EARP, NIXON, BEAUTIFUL GIRLS, THE LAST SUPER, COUP DE VILLE, SHAG, STEEL and the independent film KNOTS. Other credits include starring roles in BUYING THE COW, RACE TO SPACE with James Woods, and THE CELESTINE PROPHECY. Gish’s television include the hit series THE WEST WING, and THE X FILES and her critically lauded series led role in Showtime’s BROTHERHOOD. Mini-series and TV movies include DETECTIVE, PBS Masterpiece Theater Classic A DEATH IN THE FAMILY, SEALED WITH A KISS, DIFFERENT, GOD’S NEW PLAN, TO LIVE AGAIN, TRUE WOMEN with Dana Delaney and Angelina Jolie, the mini-series adaptation of Stephen King’s novel DESPERATION, Hallmark Hall of Fame’s critically acclaimed CANDLES ON BAY STREET, Martha Coolidge’s AMERIACN GIRL: CHRISSA STANDS STRONG and the Lifetime MOW, AT RISK, based on Patricia Cornwall’s novel. She has recently recurred and guest starred on FAST FORWARD and LIE TO ME. 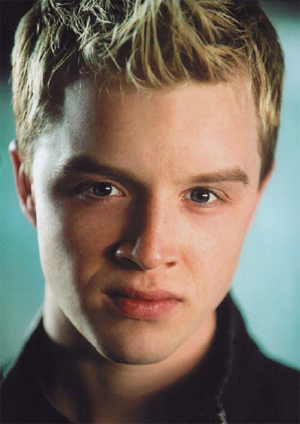 NOEL FISHER can soon be seen in the latest chapter of the worldwide phenomenon THE TWILIGHT SAGA: BREAKING DAWN PARTS 1 & 2, playing the intense role of Vladimir, a Romanian vampire (slated for release in late 2011 and 2012). He is also appearing in the new, hit Showtime series SHAMELESS, as Mickey Milkovich, opposite William H. Macy and Emmy Rossum. Most recently, cinema audiences saw Fisher in the highly successful, Columbia feature film BATTLE: LOS ANGELES, in his epic portrayal of rookie Marine Pfc. Shaun Lenihan, opposite Aaron Eckhart. Originally from Vancouver, B.C. Fisher has been steadily gaining momentum as an actor since he was 14 years old. His first role was in a TV movie called THE SHELDON KENNEDY STORY for CBC in 1999. The role landed Fisher his first prestigious Canadian GEMINI nomination, which was followed with a second nomination for his work on the hit Canadian series GODIVA’S [2005-2006]. Once gaining momentum in Canada, Fisher started appearing on various US television series such as TWO AND A HALF MEN, THE MENTALIST, MEDIUM, LAW & ORDER: SVU, HUFF and BONES. In 2008, he went to Sundance with the independent film RED [Official Selection] alongside Brian Cox. 2010 was a stand out year for Fisher, as he was seen in the HBO nominated miniseries THE PACIFIC. His other television credits from last year include solid performances in LIE TO ME, TERRIERS, and DARK BLUE. Audiences may remember Fisher from his breakout performance in the critically acclaimed FX series THE RICHES, portraying Cal, the conniving and clever son of Eddie Izzard and Minnie Driver. SCARLET O. SELZNICK is currently studying dance and competing in dance competitions in and around Southern California with MNR Dancefactory, and recently performed in the half-time show at an LA Clippers game at Staples Center. She made her acting debut as Ava in the USC student short, THE SILENCE IN SIGH (dir. Freddy Gaitan) as a six year old who drowns while playing by the pool during her weekly visit with her deaf Father. Her family enjoys a long history with both Hollywood (David O. Selznick) and Dance; her father, Tony Selznick is a founding partner of the premiere Choreographer/Dancers agency, McDonald, Selznick and Associates. Scarlet is excited to be making her big screen debut in COMMERCE.